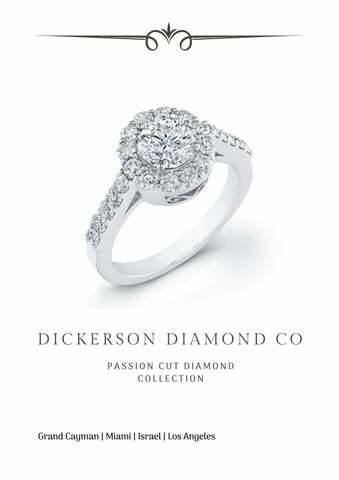 Formed in 2010, the Dickerson Diamond Company is Cayman's leading diamond specialist. Our founder, Dale Dickerson, has been in the diamond and jewelry industry since 1982, as a diamond and fine jewelry buyer for major retailers in the United States and the Caribbean. Dale now makes those years of experience available to private clients world-wide, and has established the only true source of wholesale-priced diamonds in the Cayman Islands. With a wide variety of loose diamonds in inventory, our network of experts will help you create a completely original design that is perfectly tailored to the wearer. We undertstand the significance of purchasing a diamond for many of our clients, so we will work with you to ensure you get the most out of your available budget. Our diamonds are responsibly sourced, chosen for their exceptional quality and beauty, and are meticulously assessed and hand selected. We meet with clients by appointment only in the Cayman Islands and If we do not have what you're looking for, with our global reach we can quickly and easily source the diamond of your dreams. The Passion Cut Diamond owes its unrivaled brilliance and beauty to an astute 81-facet arrangement formula. By dramatically improving the light reflection while retaining the biggest possible diamond, our cutters have produced an extravaganza of dazzling fire scintillation in a larger than life diamond for a fraction of the price you would expect. After many years of cutting hundreds of different variations of the traditional round diamond, we have come up with what 9 of 10 gemologists agree is the most brilliant round shape diamond they have ever seen. By adding extra 24 facets in the perfect location on the diamond we have come up with the most exciting thing to happen to the diamond industry since the original 57 facet ideal cut. The Passion’s symmetrical cut allows light to enter the stone in such a way to make internal inclusions virtually invisible. Giving you one of the most beautiful diamonds cut today.